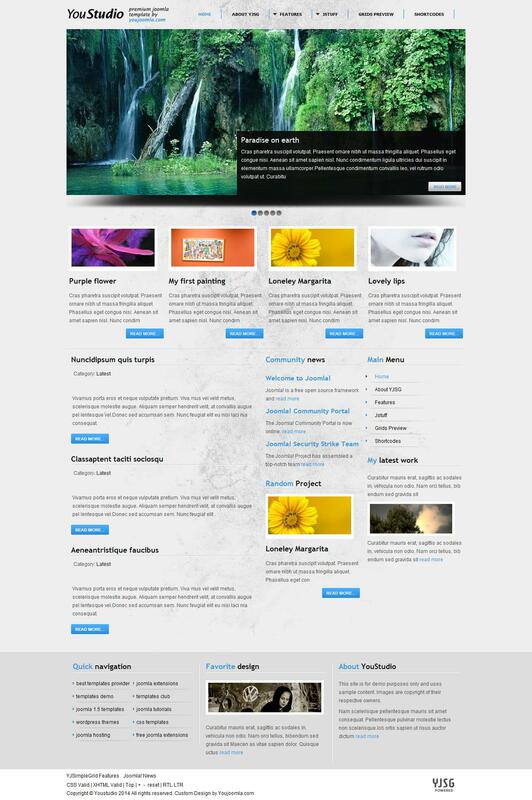 YJ YouStudio - beautiful website template portfolio, developed the design studio YouJoomla. Elegant appearance template worked very qualitatively to the smallest details. Developers have tried to make a pattern minimum graphic files to speed up loading site. Built-in support of popular content management manager K2, provide comfortable accommodation and publication of materials on the site. In the installation package includes club modules available to members only club. Using the latest web - technology gives template specific functionality that users will appreciate the site.